[1000 words]”Little sister!” Jahan heard her brother calling over the cacophony of the Denizens of Dawn. Jahan tried to blend into the surging throng, but Ejaz effortlessly followed her, the crowd parting to facilitate his egress. She sighed. Was there no escape from his notoriety? She thought as she tried to skirt the edges of the gathered faithful. Life before he joined the Denizens was full of laughing and playing tag with wooden swords. Even before he was elevated to his position, he still had time to visit his parents and sibling. But his meteoric rise in the ranks and his pairing with the orphaned Zoraya left him striving to adhear to the high standards and the legend of the Marquis of Dawn. “There you are!” Jahan blinked in surprise not only from her interrupted reverie, but the shock as Ejaz slammed his gauntleted hand down her shoulder, making the younger sibling stagger under the weight and the strength of her elder brother. Jahan was expected to be of sturdier stock than the average maiden. And she was, but her strength was overshadowed by her free-spirited brother. “Brother.” Jahan forced a smile as hands reaching out to touch Ejaz found purchase on Jahan’s person. If it weren’t so commonplace, she might have recoiled from their touch. More than one hand mad contact inappropriate if they weren’t anonymous faces in a tight crown of onlookers. “It has been a while,” she replied, keeping her voice even and uninterested. Jahan treaded her brother’s fame wearily. She knew that if she showed the slightest inkling of interest, her brother would regale the gathered crowd with one of his infamous war stories, and cajole his younger sister to act out scenes – often as the villain. “The same way you left it, brother.” A roar of approval erupted at Jahan’s comment. It seemed as if they wanted to hoist their hero and his sister on their shoulders, but a look from Ejaz dispelled any plans to follow through with said actions. Ejaz declared something about being sore from riding his horse, but the shouts and slaps drowned out what Ejaz was saying. If the Marquis of Dawn wished to walk to the palace, then who among them would assert their own will over his? As Ejaz blathered on about his conquests over the last few weeks, Jahan only nodded and made placating noises. The stories were always the same. They always ended the same was too: Ejaz would wonder out loud when his younger sister would join the ranks of the comrades he warred with. Promises of easy duty were bandied about. No one would dare mess with the younger sister of the Marquis of Dawn. Jahan wondered if the crowd’s adulation to her older brother were as universally held as it seemed. It wouldn’t surprise her if some fame-addled soldier decided to take out his scorn of Ejaz on a newly-enlisted Jahan. And it wasn’t as if Jahan didn’t want to protect the citizens or the reputation of the City of Dawn, but she had spent many nights reading papyrus by firelight. All knew the casualties of war, and Jahan simply wished to avoid being one of those casualties. The thought of being another dead body, laying unclaimed on a blood-soaked battlefield, awaiting the tearing beaks of carrion birds… The only thing she feared worse than dying was the shame of not living up to the impossible standards placed upon the family of the Marquis of Dawn. She supposed she could always join one of the bandit tribes, but there was a greater chance she would die as a bandit, even if she could avoid becoming a concubine. Dying a bandit, a concubine or a celebrated warrior was a death either way you examined it. “I’ll be home later, little sister,” Ejaz said as something caught his attention. “I have a few things to accomplish to wrap up this campaign.” Ejaz dismissed his sister as he would an underling. There was a finality as he spun on his heel and strode away. Jahan nodded as her brother walked deeper into the city. The crowds dispersed as their hero moved away, his face still a mask of determination and pride. Jahan hoped Ejaz would remain in the city for a while. Immediately preceding or following a campaign, he performed the acts of the Marquis, but the intervening time, he became simply Jahan’s older brother. They did things siblings were apt to do – fishing in the river, searching for gold, and in rare instances, pranking Ejaz’s friends and colleagues. Jahan smiled at the thought of embarrassing one of the Denizens of Dawn. She could do so with impunity – for if someone were to take offence, The Denizens would quickly advise the scorned that good natured pranking was a testament to their glorious history. It wouldn’t last, however, for Ejaz would be called to lead again. Zoraya would stay in Ejaz’s room in their family house and Jahan would be forced to hear her weeping into the night. Despite her attempts to hide her sorrow, her brother’s fiancé knew all to well what could happen to her beloved on the field of battle. Jahan’s parents would try to console her, and she would put up a brave front, but eerie memories of stifled crying could not be unheard. Jahan would stare out the window at the stars after the city slumbered and wonder how Zoraya handled the loneliness. She believed, as some did, that the hand of fate guided her brother, but fate did nothing to quell the oppressive bouts of loneliness for Ejaz’s parents, sister and betrothed. 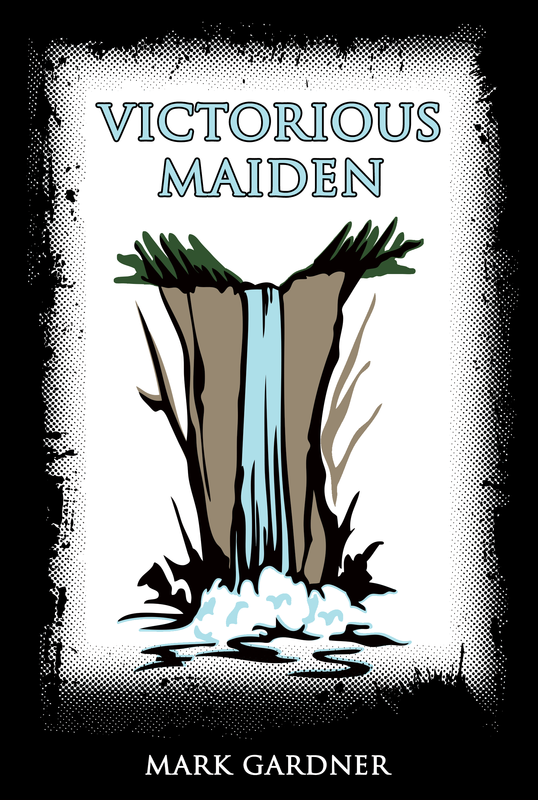 This entry was posted on Sunday, July 26th, 2015 at 17:00	and tagged with Victorious Maiden and posted in fiction. You can follow any responses to this entry through the RSS 2.0 feed.